Healthy bees make for healthy crops. Earlier this year the rusty-patched bumblebee was the first bee listed as endangered under the federal Endangered Species Act. The rusty-patched bumblebee’s population has severely declined in recent years, part of widespread trend for bees because of habitat loss. 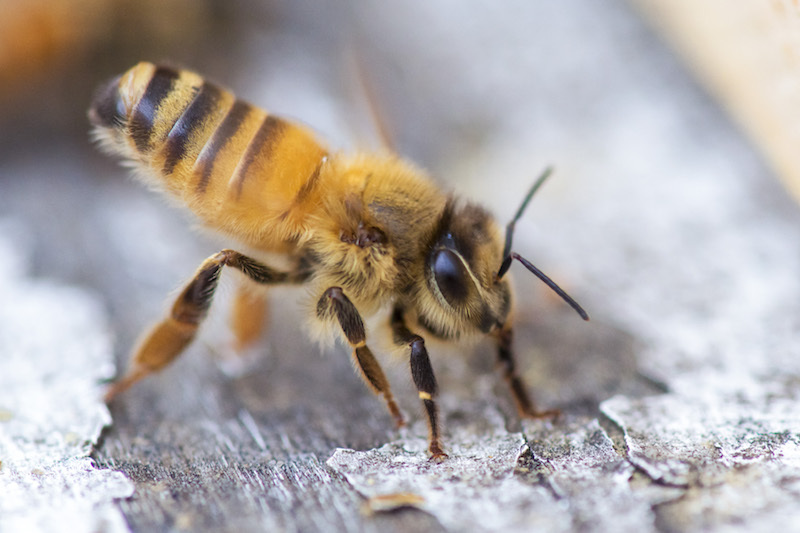 But there are steps farmers and gardeners can take to help the buzzing insects, starting with a discussion next week hosted by the Dukes Conservation District that will look at the importance of native bees and how to create a welcoming habitat for them. On May 9 from 7 to 9 p.m. at the Agricultural Hall learn how bumblebees are valued by farmers and gardeners for crop pollination and plant reproduction, and how the decline in bumblebees has put fruit and vegetable crops at risk. Guest speaker Linda Rinta, a farmer and beekeeper, will talk about steps farmers and gardeners can take to promote native bee populations and even increase harvests, a win-win for everyone. The program is also sponsored by the Polly Hill Arboretum, the Island Grown Initiative, and the Martha’s Vineyard Agricultural Society. The talk is free and open to all. Carpenter bees are coming out of the woodwork.